It is faster for people to grasp the meaning of data when they are displayed in beautiful charts than the poor formatted charts. It's easier to make a chart sexier by inserting cool picture into the chart elements. Today i am going to cover how to create a pencil bar chart in excel. On the Insert tab, in the Charts group, click Bar >> In the 2-D Bar, click Clustered Bar. Browse the Pencil pic, and then double-click it. 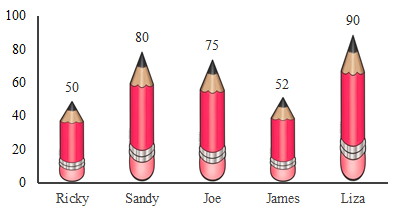 0 Response to "Create Pencil Bar Chart in Excel : Free Template 04"